Get Out Of Your Way!! Along your journey to success you will face obstacles. Some of these obstacles are real and difficult to make it through, but they are not impossible. Some obstacles are only mental barriers we place in front of ourselves. 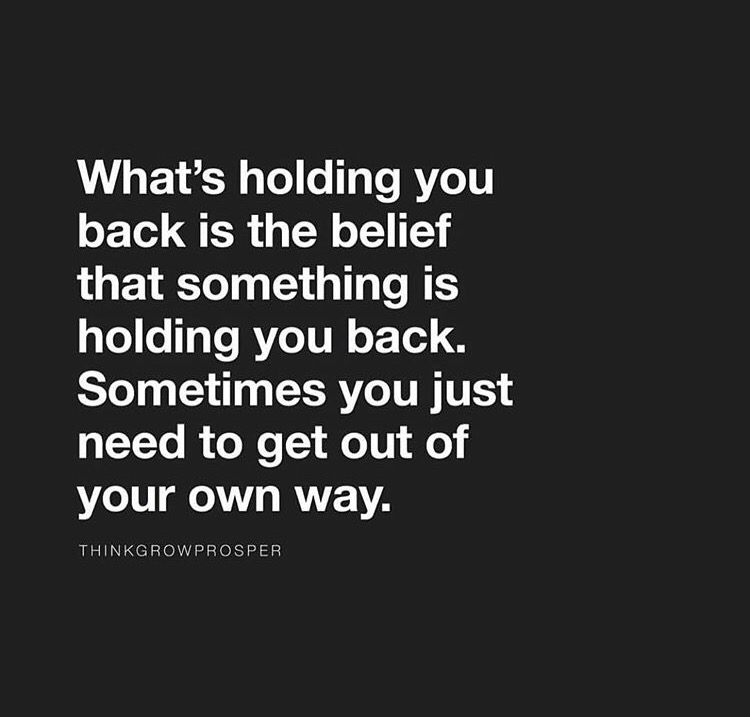 We feel as if something outside of ourselves is holding us back from greatness. The truth is only we can hold ourselves back. You have the ability to face any challenge and win. That win may take some time, courage, sweat, and many other dedications, but they are possible. Put your faith in favorable outcomes and allow your greatness to be unleashed. Dream Big!!! 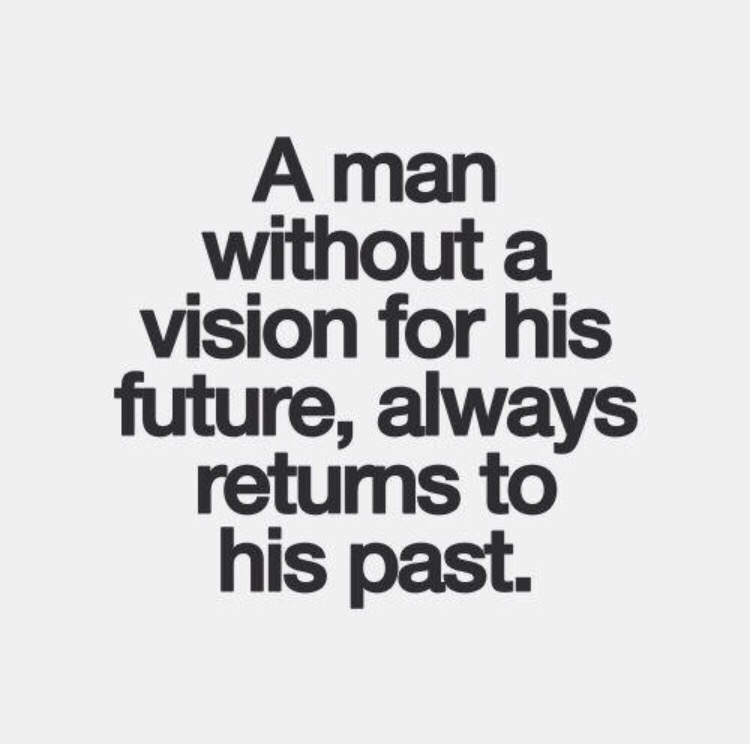 It’s important to have a clear vision for your life. Where you are now DOES NOT determine where you can be. What you know now DOES NOT determine all that you can know. To understand your full potential, you have to understand your True Self. Your True Self has no limits, only challenges that can be fearlessly faced and defeated. Even if your current circumstances or life situations aren’t as you’d wish they would be, don’t focus on that. Instead, visualize your ideal life. Imagine yourself as strong as you want to be, as fast as you’d like, or as smart as you wish. Imagine how it will feel when you do exactly what you thought at first that you couldn’t. You are unstoppable. Now that you have imagined this, know that it is very possible. As stated by Napoleon Hill, “Whatever the mind can conceive and achieve, the mind can conceive.” This is so true. If you can imagine it, you can be it!! Follow your dreams and have faith in the magnificent possibilities!! Your physical body’s capabilities IS NOT your full potential. Your environment IS NOT your full potential. And neither one of these factors can determine what your full potential is. All of us aren’t able to slam dunk a basketball in a 10 foot goal or run faster than a cheetah, but these limitations on our physical bodies DO NOT limit our potential. You are capable of great things. Challenge your mind to see past your perceived handicaps and continue striving towards reaching your full potential. No dream is too big. In your mind be a giant!! No obstacle is too difficult for you. 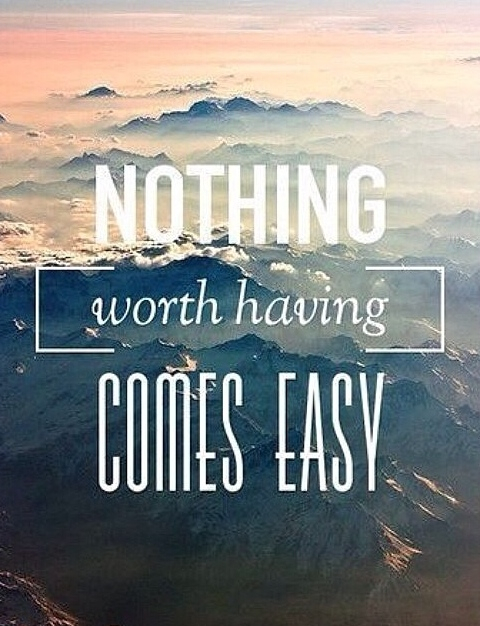 After all, what’s worth having doesn’t come easy. Dream Big, Leader. No limitations.